The candidates for the position of ECU President are already four. To the already known candidacies of Boris Kutin, Ali Nihat Yazici, and Silvio Danailov has joined yet another contestant – Robert von Weizsäcker, President of the German Chess Federation. Robert von Weizsäcker announced his candidacy in a press conference together with Karpov and Kasparov. The new candidate announced he wants to “bring chess back to the players”. There are several months to the elections during the Khanty Mansiysk Olympiad, all the candidates are still to announce their programs. Europe was also the host of the World Chess Championship which Viswanathan Anand won with unprecedented for the decade prize fund, and will also host the World Chess Championship 2012 in London with at least the same prize fund again. The interest in the game in Europe is growing, companies are investing more and more in sponsorship, IBM is planning a whole new look in the game via Blue Gene computers, chess is entering schools curriculums, political figures are standing behind grandmasters, Russia via Dvorkovich and Zhukov will make important steps for making chess Olympic sport. ECU has become an important fundament of the World Chess Federation and as such is rising high interests among different candidates. Prof. Dr. Robert Klaus Freiherr von Weizsäcker (born 6th December 1954) is a German Economist and President of the German Chess Federation. Since 2003 he occupies the Chair of Economics, Finance and Industrial Organization at University of Technology Munich. Since 2003 he is Professor of Economics, Finance and Industrial Organization at Munich University of Technology. He is also a Faculty Member of the Munich Intellectual Property Law Center at the Max Planck Institute for Intellectual Property, Competition and Tax Law. Previously he had research and teaching positions at the University of Bonn, the Humboldt-University of Berlin, the University of Halle-Wittenberg, and the University of Mannheim. He was a Visiting Scholar at Cambridge University, Université Catholique de Louvain, London School of Economics, Stanford University, Oxford University, and the International Monetary Fund in Washington D.C.
Prof. von Weizsäcker is Research Fellow of the Centre for Economic Policy Research in London, the Ifo Institut für Wirtschaftsforschung for Economic Research in Munich, and the Institute for the Study of Labor in Bonn. He was a Heisenberg Fellow of the German National Science Foundation and a Member of the German Scientific Council. In addition he held positions as Scientific Director and Partner of a Corporate Finance Firm in Frankfurt (Main), and as Member of the Managing Board of the Institute for Mittelstand-Research in Mannheim. 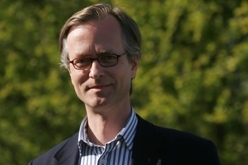 Since 2003 he is Board Member of the Carl von Linde Academy in Munich. He has published numerous books and articles, particularly in the fields of public finance (public dept, tax reform, and social security financing), corporate finance (corporate valuation and risk analysis), population economics, the economics of education and industrial organization. In 2007 Robert K. von Weizsäcker was elected President of the German Chess Federation. Also he was awarded the title of Correspondence Chess Grandmaster. In the Correspondence Chess Olympiad in 2008 he won both, the team and the individual gold medal.